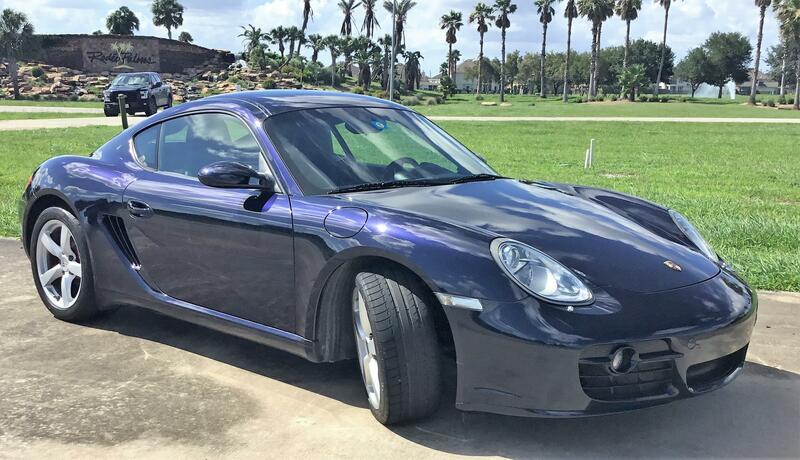 Selling my one owner 2008 Cayman S. Beautiful dark blue with black interior. 99,981 miles and in great condition, dealer serviced at every recommended interval. Purchased from Pioneer Porsche in San Diego in August 2008, has been a Texas car since 2012. 100% stock including Porsche approved tires, zero track or autocross. Water pump, 160 degree thermostat, and Air Oil Separator replaced at last service 2017 by Momentum Porsche. I can deliver vehicle to Houston area shipping terminal. Other shipping arrangements can be negotiated. All service records and receipts available. Last edited by harnishclan; 07-25-2018 at 07:11 PM.